The creation of the Internet of Everything has been going on for a while now. It is easy to find estimates of the number of connected devices some years from now and how much the market will be worth but still hard to find the evidences that it actually happens and in which pace. A year ago I declared that we entered the teenage phase meaning that early moving customer started to go from power point and plans to pilot trials and roll-out. I still believe we are in the teenage phase but another important indicator – mergers and acquisitions – is starting to show that we are coming closer to the real take off. Because of this I will try to track relevant M&A deals in my blog onwards. 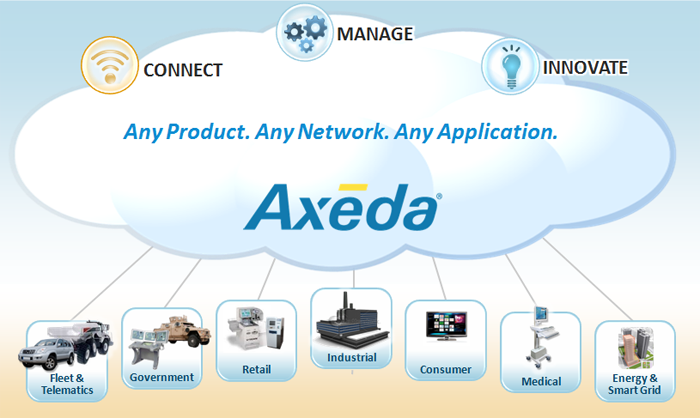 Intel recently acquired Basis Science with their advanced health tracker, Google has spent about $5B acquiring Waze, Nest and Dropcam but PTC’s recent acquisition of Axeda for $170 million in cash following their $112 million Thingworx acquisition in December are even more interesting to me. PTC provides systems and solutions to a long list of very large companies globally and they obviously believe being a leader in IoT system and service enablement is key. I believe the Internet of Everything will be grown-up in less than two years from now and insist that the key difference from when people and companies were connected to the Internet is that ignorance will not be an acceptable excuse this time. One of the most talked about areas for Internet of Things is Smart Cities. Cities themselves invest to become one. Most of the large players in IoT focus on Smart Cities. There are events, predictions, articles and show cases everywhere and each and everyone use their own definition of Smart Cities. 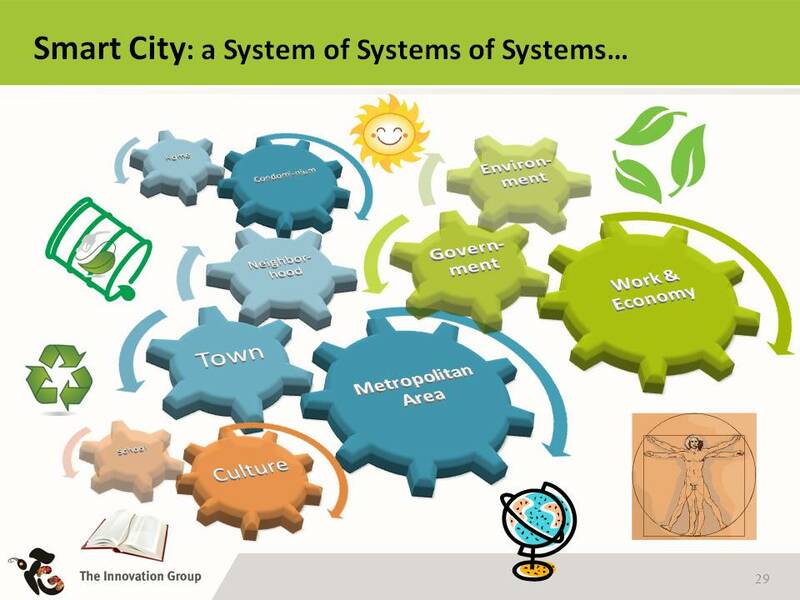 A city is a very complex and dynamic location which from an ICT point of view could be described as a system of systems. It is obvious that sub-systems could be more efficient using IoT solutions and that the overall system of systems could be improved if the data collected was shared cleverly between the systems. No wonder Smart Cities is a perfect topic to focus on both for suppliers and municipalities. But how much smarter has cities become over the last years? Well, there are of course impressive reference cases here and there and a lot of sub-systems in a lot of cities have become better using IoT solutions. But the size and complexity of pulling it all together in a city is difficult to deal with both from practical and technical perspectives. This is why I am really impressed by Infracontrol, their pragmatic approach to Smart Cities and what they have been able to do. They started about 20 years ago to help cities connecting mainly traffic related things like tunnel alarms, ventilation systems and traffic lights. As they grew bigger in several cities and with new applications they developed Infracontrol Online™ 2003 to connect cities and citizens for better services. Today they have 56 Swedish municipalities using Infracontrol Online™ and their first ones in Portugal in place as well. Their customers report 60% better service quality, 30% savings in maintenance expenses, a lot of energy savings and higher citizen satisfaction. Sounds smart to me! 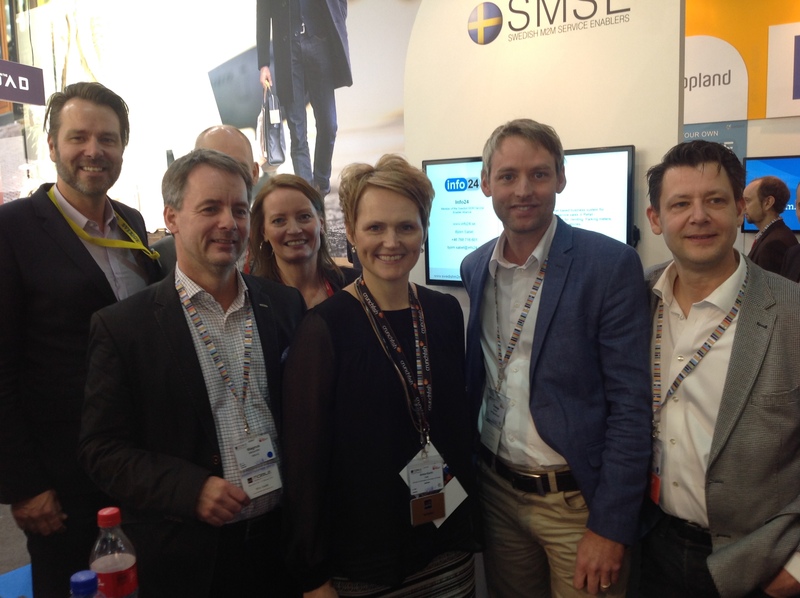 Needless to say Infracontrol is a member of the Swedish SMSE-alliance! Get inspired by Jenny Gustavsson’s 5 minute pitch on Infracontrol at Internet of Everything For Real™ 2014! Last night I participated in my first hackaton. 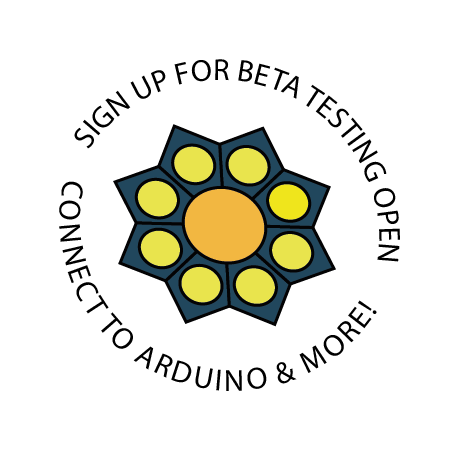 It was arranged by Evothings who has developed an open source tool which includes libraries and API:s for connected devices like Arduino, Rasperry Pi, sensor tags, iBeacons and Philips LED-lamps and provides the ability of speedy development of IoT apps for IOS, Android and Windows Mobile. We were around 30 men (M2M unfortunately still means Men to Men) who got a 15 minute introduction, free pizza and a great experience. After two hours of playing with Evothings Studio, smartphones and some connected devices we had a “show-and-tell” session where the participants shared their experience and results. Even though I’m quite well aware of what can be done in the field of IoT I was blown away to see how easy it was to put things together into a working prototype. Two young participants demonstrated how they controlled a small cannon from their smart phone, aiming and shooting. In two hours without having seen Evothings Studio before. My colleague came with an idea to extend their offering to retailers using iBeacons and I believe these two hours gave him what he needed to make the first prototype for a pilot test with a client. I think this is very important to realize: not only is the Internet of Everything being built here and now with massive impact on industries, individuals and society. It takes minimal programming skills, little time and almost no money to develop a working prototype and see what happens. The democratization of IoT development tools together with modern phenomena like crowd-funding, crowd-sourcing and open API:s brings immense change. For sure. EIT ICT Idea Challenge is a competition for start-ups in EU launched at CeBit some weeks ago. It includes eight different categories, each with 40K/25K/15K€ prices, and the IoT category is managed from Sweden. Before last night I thought that maybe 100 participants per category would be realistic. But after yesterdays experience I could easily see thousands of participants per category! Up until recently most operators had a similar approach to M2M: “it’s a very interesting opportunity, we’ll build a devoted team, we will make or buy a device connectivity platform, we will not be providing only connectivity but we are not ready to go down the verticals so we will build a partner program.” But things are changing. Telenor Connexion went their own way when they decided on a connectivity agnostic strategy to be able to follow their customers over time. Then they acquired the experienced M2M service enabler and developer Iowa in order to help customers from idea to ready to roll solution. And at MWC they announced adding Jasper’s platform to the Ericsson Device Connectivity platform already in use which as far as I know is a unique move. But perfectly in line with their customer centric strategy. Last week, Tele2 finally announced their M2M strategy and plan at their M2M Talks event in Stockholm. Rami Avidan and his team declared loud and clear that they will provide connectivity and for the rest, work with and through partners. This was as clear and easy to understand as surprising. At the event they introduced a couple of partners including CSL and Wipro – two really well established and strong international players in the field of M2M. It is promising and interesting that operators are starting to place their M2M bets differently now. With different approaches and offerings we will have more choices and constellations which will serve customers better and speed up the creation of the Internet of Everything. Device connectivity platforms for mobile operators have been discussed for years. There have been two primary platforms on the market – Ericsson and Jasper – with Ericsson more focused on the ability for the operator to manage M2M business efficiently and Jasper having been more focused on adding solution partners to their platform thus to their mobile operator customers. Up until now most mobile operators have had one of these platforms and in many cases an in-house alternative somewhere. But at MWC Telenor Connexion announced that they add Jasper to their Ericsson platform (once acquired from Connexion). According to Per Simonsson, CEO at Telenor Connexion: “Deploying services from the two leading platform providers ensures greater flexibility and enables us to collaborate with new partners and operators in global deployments“. I believe Telenor Connexion has a clever long-term strategy to become technology agnostic when it comes to platforms and bearer technologies in order to get a strong position for global business and to become flexible in supporting customer’s changing needs over time. This announcement caused some stress here and there since some operators used the situation of being the only Jasper customer in a market as a differentiator. This is of course not a sustainable way to create a position in a market and it was only a matter of time until the opportunity would have been gone anyway. I have always argued that mobile operators should refrain from a GSM-only approach in M2M and that they should be aware that Jasper’s business model is quite comparable with an MVNO from the operator’s point of view: The operator get some additional traffic but might loose the relationships with partners and customers and once and for all become a pure connectivity provider. Nothing necessarily wrong with that but most mobile operators active in M2M state that they don’t want to become just a connectivity provider. Yesterday I read that Jasper is launching the world’s first commercial end-to-end Global SIM product based on Giesecke & Devrient (G&D) technology. It’s is aimed at the IoT market and will allow enterprises to remotely manage embedded SIMs over the air (OTA). The ability to change operator over-the-air is a necessity in M2M and I saw a GSMA demo at MWC 2012 demonstrating this. 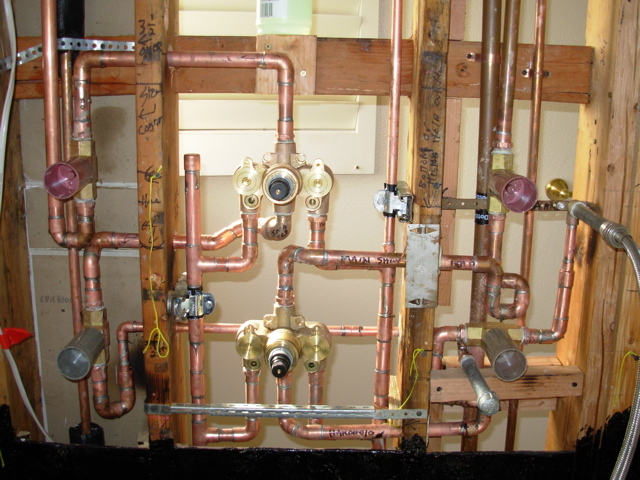 Mobile operators who don’t have the ability to go down the verticals and applications in M2M thus “outsource” partnership and business development, might be stuck with plumbing when the OTA provisioning is in place. I see only two main roads ahead for operators (including the M2M MVNOs): invest and get engaged in applications, solutions and verticals or provide the connectivity. And anyone getting involved in applications and solution, service enablers or operators, need to use a connectivity agnostic approach like Telenor Connexion. Yet another humongous Mobile World Congress is over. Almost 90.000 people from around the globe have spent a couple of days together in Barcelona with decent weather, amazingly good organization and an interesting mix of cava, business cards, pickpockets, technology and rock’n roll. This year was very much about improvement and evolution and little news and revolution. That is both serious and good but unfortunately less exciting and makes a show like this a little sleepy. Beyond a couple of quite expected things like Mozilla’s 25$ smart phone and that Nokia goes Android you mainly heard words like security, virtualization, big data, robustness and improved BSS/OSS at the show. From a helicopter perspective I believe it is a slow process of marrying IT and Telecommunications that we are looking at. And then, of course, M2M and Internet of Things. It’s on everybody’s lips now, and it’s mainly questions. Ranging from companies considering to enter the market and wonder where to start to people already there trying to figure out where to go next. And my previous conclusion that we have left the connectivity phase behind and focus on the data and use of it was more clear than ever. I heard reference to the 50B devices three times during the entire event to be compared with hundreds of times a year ago. I was there with a common stand in the Swedish Pavilion with nine of the 21 members of the Swedish M2M Service Enablers alliance: Kombridge, Springworks, Maingate, Possio, WSI, Fym, Evothings, Info24 and WBIRD. And I was amazed to see the interest in talking to experienced specialized m2m service enabler companies with solid solutions in use by real customers. From across the world we had operators, potential customers, vendors, analysts, regulators, consultants, investors and governments visiting us. We counted collectively to over 300 meetings with reasonable business potential after day three of the event. We also got the opportunity to explain to our Swedish Minister of ICT and Energy, Anna-Karin Hatt, that we are working hard together in SMSE to make Sweden the obvious country to go to for leading edge skills and knowledge in M2M aka Internet of Things. So what’s the state of the nation? Most players have understood that data is the gold of M2M, that the value of M2M is realized when the information is properly distributed to decision-making systems, business process applications, etc. and that a proper M2M solution consist of three different components: connected devices and sensors, collection and blending of data most often in the cloud and distribution of the information to apps, ERP systems, etc. The challenge is that each of these three components is a competitive industry by itself and each M2M solution must include all three to deliver the value. This is obviously not possible to solve without well working partnerships. The transition from quite ok complete generic proprietary M2M solutions to excellent M2M solutions for an industry or more often a specific organization is similar to what the IT industry went though over some 20 years starting from IBM providing everything from Nobel prize research and silicon to post service and financing. Our transition will be brutally fast and enable the fully international and layered Internet of Things industry needed for the real take-off. Companies perceived as providers of generic products or services with no edge will fade away in this process and simply just not be seen. This is why operators and vendors talk partnership now. It is needed but very difficult. To set up a well designed and attractive partner program is not rocket science but a lot of work. But making people work well together goes far beyond that. It is little about technology and a lot about trust, way of working, culture, business models and not the least “similar children play best” as we say in Sweden. And entrepreneurs are stressed people who have little to no patience with things that don’t contribute to their business. Partnerships are also initiated by government bodies and research organizations and a new LinkedIn group on IoT or M2M is established at least weekly. It will be really interesting to follow how this will develop. In my mind this is mostly a commercial issue why any working partnership will have to be driven by people closest to the customers, who understand the context of the data and application the customers are looking for. Progress and success will only come when people start doing thing also in this field. Nobody, not even McKinzey or Accenture, designed the value chains, the standards or the API:s when we connected people and organizations to the Internet. It was created by people trying things and finding ways that customers liked. This is how the Internet of Things will be established as well. And this is the thinking behind our Swedish M2M Service Enablers Alliance. Avanti! An old friend wrote: “Hi Magnus, Great to hear from you. Sounds like you are in the sweet spot of the next digital revolution.” Internet of Things is on everyone’s lips now! If we wouldn’t have had the M2M hype phase over ten years ago I would definitely be nervous, but this is for real. Kudos to Gartner who provided us with the hype curve! IoT is still in the teenage phase but growing very fast. The industry obviously remains excited on ever new levels. But what makes me believe that we will be grown up by 2015 is the rapidly growing requests from businesses across industries and nations. They want better decision-making, faster processes, competitive advantages, security, sustainability, profitability and bottom line, success. And more and more we end up talking about strategic issues like addressing adjacent markets, “re-defining our industry”, brands and new business models. Somehow a lot of decision makers got the point: it’s time to act! Leaving discussions and PowerPoint behind and jump into trials and action. The value of M2M becomes visible when the information appears in decision-making systems and processes. The data collected and blended will have to end up in the IT systems why solutions require context, i.e. industry experience, and will be developed by specialized companies. As vehicle specialist Springworks put it: “it took as a while to learn the difference between a hard break and a crash”. Specialized M2M Service Enablement remains the most critical part of building the Internet of Things. Context is king! The Swedish M2M Service Enablers alliance (SMSE) was established 2012 on this insight and we are already 21 members – Imagimob and Expektra joined earlier this week. And we are now sponsored by six organizations including four operators. We believe the M2M service enablement business will have to be international for M2M to grow up. And with all national players competing on an international market, only the specialized ones will win. It is simply not good enough to connect a couple of things to the Internet, collect some data and distribute it to an App or web page. 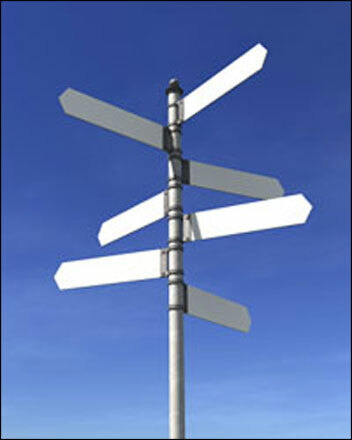 One needs the context to develop and sell really useful Service Enablement solutions. We are working hard to demonstrate our combined skills and experience in M2M, or Internet of Things if you like, and that Sweden is a great place to look for advanced M2M applications. Over the last 12 months we have been on several trade missions including Italy, France, Spain, Holland and Germany. And starting on Monday nine of our members – Springworks, Maingate, Kombridge, Possio, EvoThings, Fym, WSI, Info24 and Wbird – represent SMSE in the Swedish Pavilion (7F41) at Mobile World Congress in Barcelona. Please come by and visit us during the week! And as proud sponsors of the traditional Sweden@MWC Cocktail we invite you for a drink with us on Monday afternoon as well! You are currently browsing the archives for the M2M Service Enablers category.